Origin and Habitat: Tarija, Tarija, Bolivia. Description: Rebutia sanguiniflora is an undescribed name used in some seed catalog to indicate one of the innumerable local form of the variable Rebutia pseudodeminuta with showy blood-red flowers, but others forms are similar and plants from other localities look more like it. It is sometimes synonyzed with Rebutia spegazziniana. 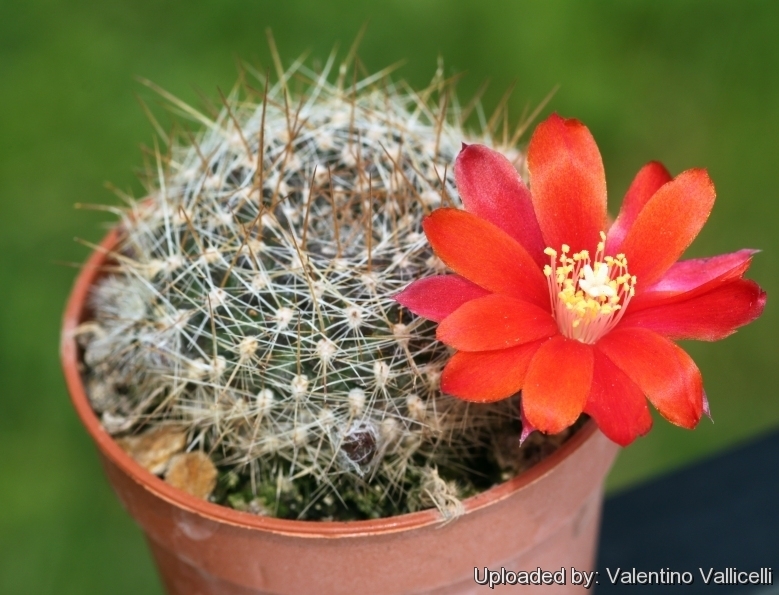 Cultivation and Propagation: Rebutia sanguiniflora is a summer grower species that is easy to cultivate.